I think I’ve posted these pictures on the blog before, but it’s one of my favorite skeins so hopefully you’ll excuse the repost. 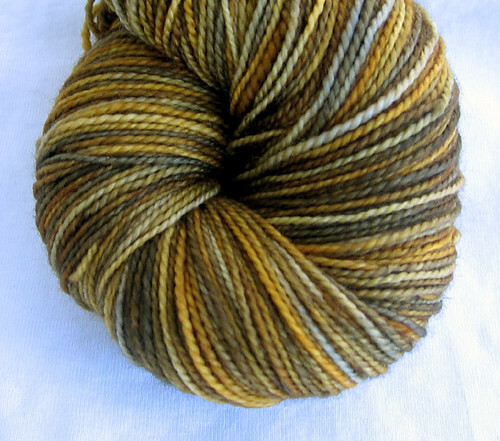 Sundara sock in Acorn Squash, as I received it from her. And what it looked like after I reskeined it. I love this one so much because it reminds me of my cat, Andy. His coat is the same shades of brown, gold, and just a touch of white. Beautiful! But really the color of Pud! Re-skeining is like magic! So pretty! 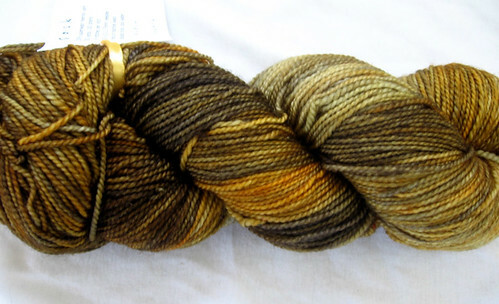 That is some delicious looking yarn. It really does conjur up images of acorn trees in autumn.